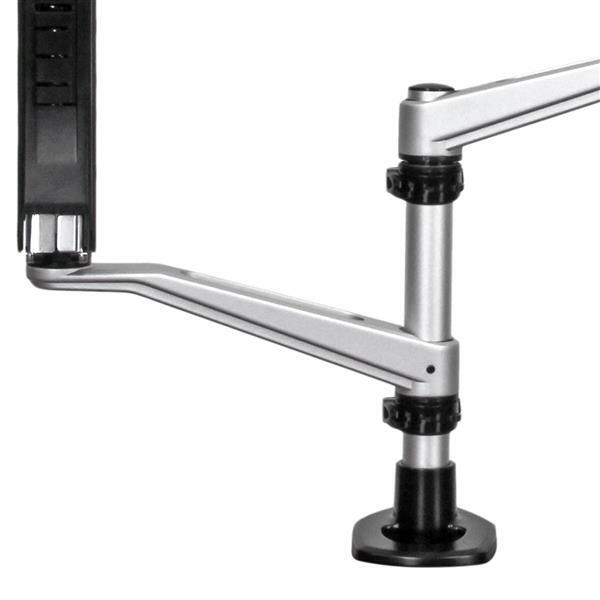 The ARMDUAL30 Dual-Monitor Arm lets you customize your workspace like never before. 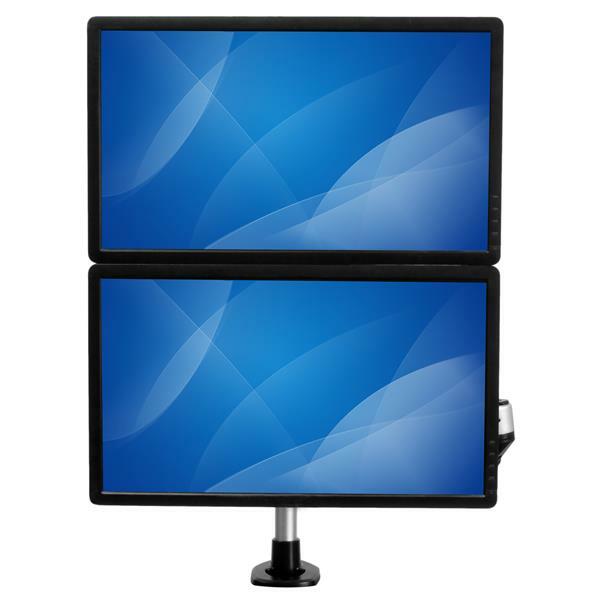 Increase your comfort and productivity with a dual monitor setup, side-by-side or stacked. 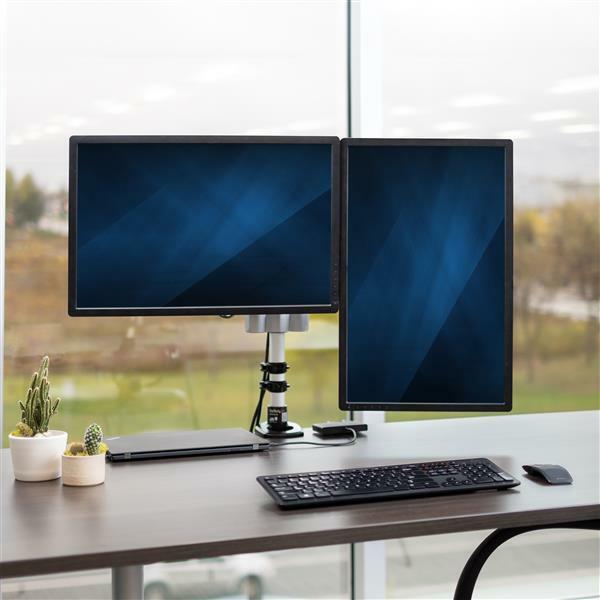 The full-motion arms with articulation and spring-assisted height adjustment let you position your monitor and viewing angle anytime, and easily switch from landscape to portrait. This TAA compliant product adheres to the requirements of the US Federal Trade Agreements Act (TAA), allowing government GSA Schedule purchases. Create a more ergonomic workspace that matches your exact needs, while freeing up valuable space on your desk or table. 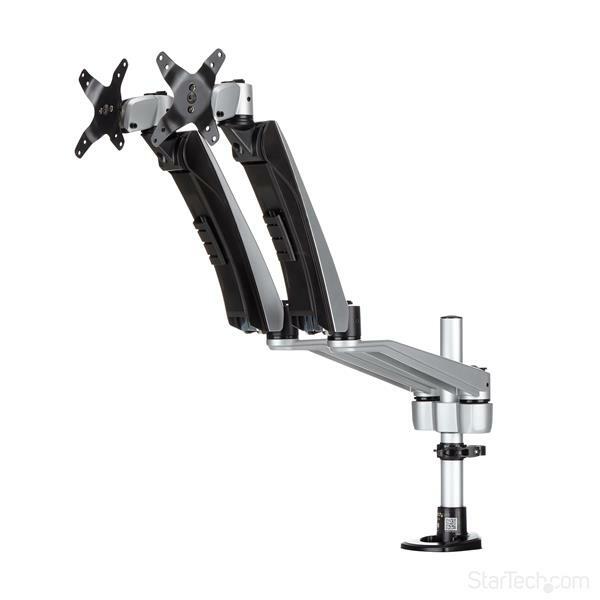 The interchangeable arms with quick-connect assembly let you design a dual-monitor setup to suit your specific workstation. 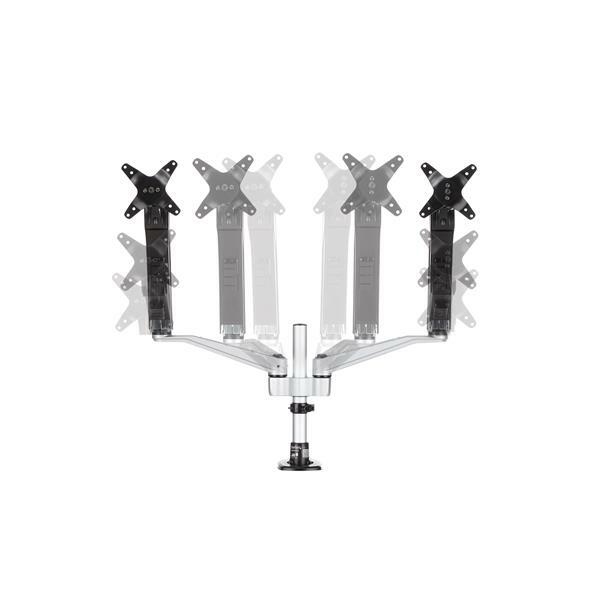 In a side-by-side setup, the dual-monitor mount supports two monitors from 12” to 30”. 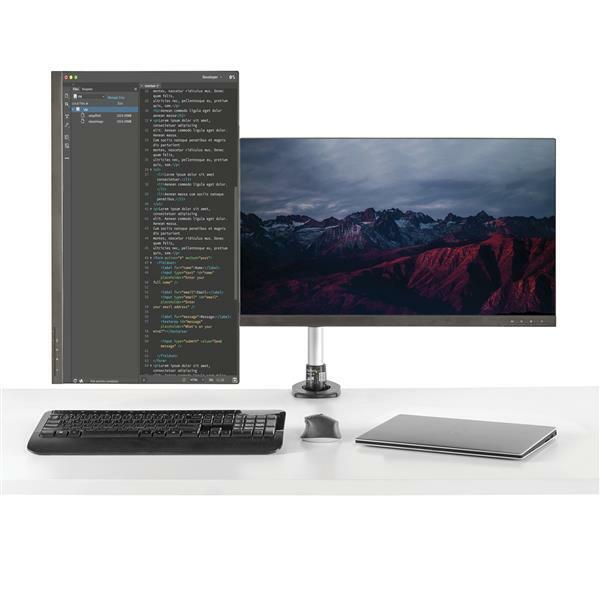 It’s ideal for numerous uses in the business or home office including graphic design, gaming, photo editing and many others. 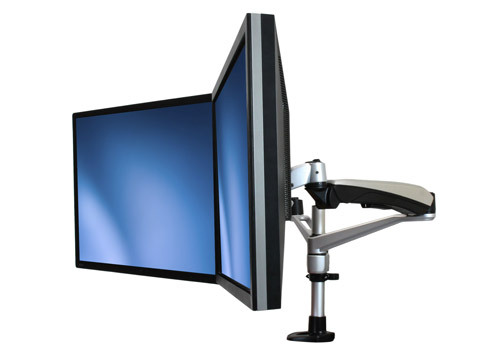 In a stacked setup, the dual-monitor mount supports two monitors, from 12” to 24”. A vertical setup makes comparison easy in many applications including financial analysis, web design, reviewing spreadsheets and many others. 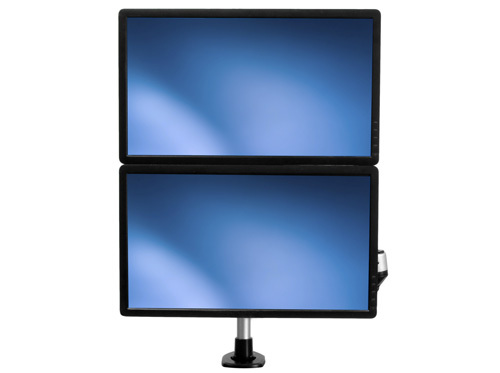 Please note: To support two stacked 24” monitors, the height of each monitor (including the bezel around the display) cannot exceed 14" (35 cm). 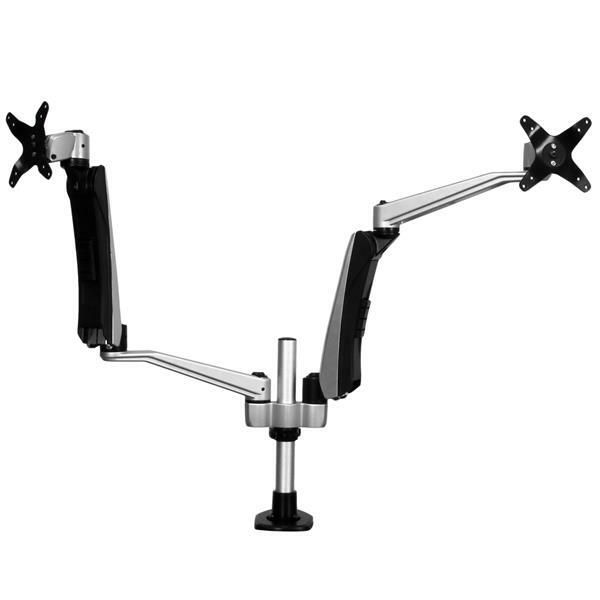 The desk-mount monitor arms offer a full range of motion on several axes, letting you tilt, pan and rotate to adjust your viewing angle any time to suit your changing needs. To view longer pages or blocks of code without scrolling, the arms also support landscape-to-portrait display rotation for each monitor. 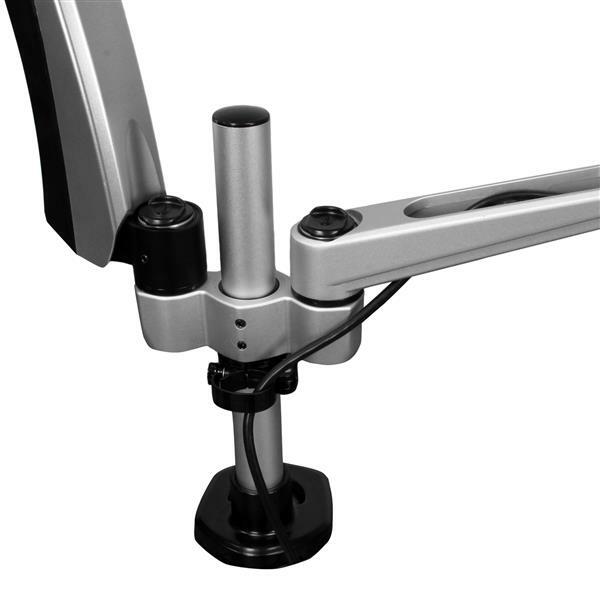 Raising or lowering your monitors is effortless, with the spring-assisted height adjustment. 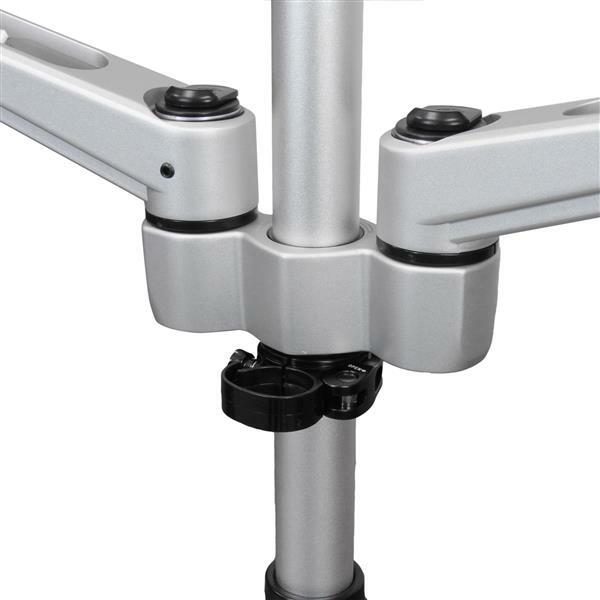 You can adjust the tension to your own preference, using the included Allen keys. 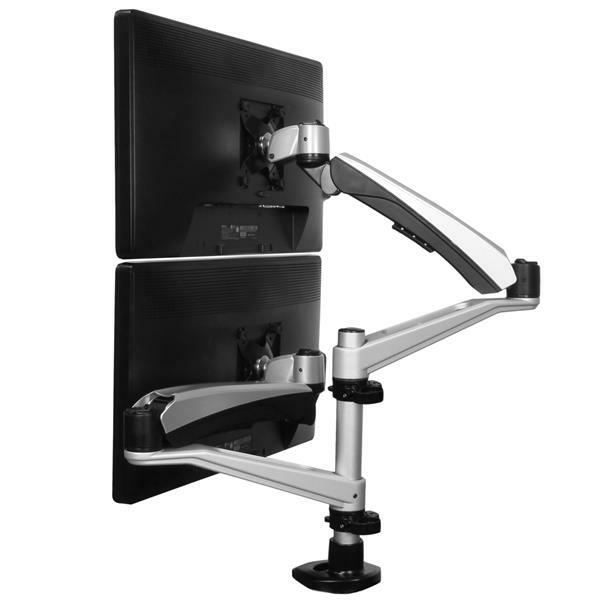 With its heavy-duty construction, the ARMDUAL30 securely holds two monitors using a standard VESA mount. 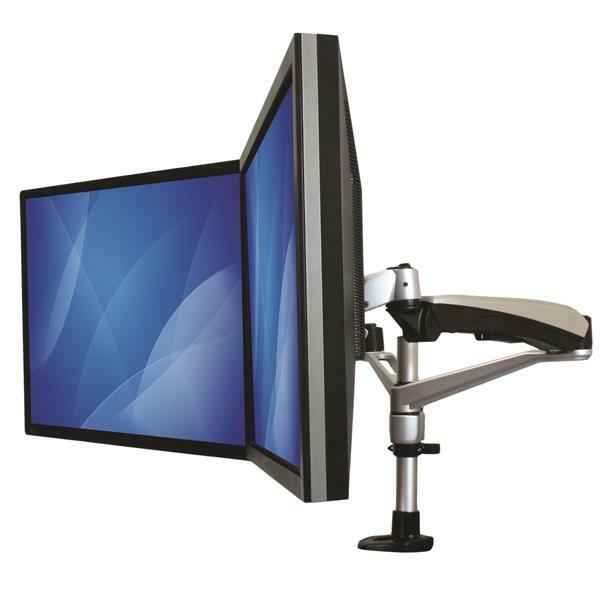 The dual-monitor mount has a weight capacity of 10 kg (22 lb.) per arm. 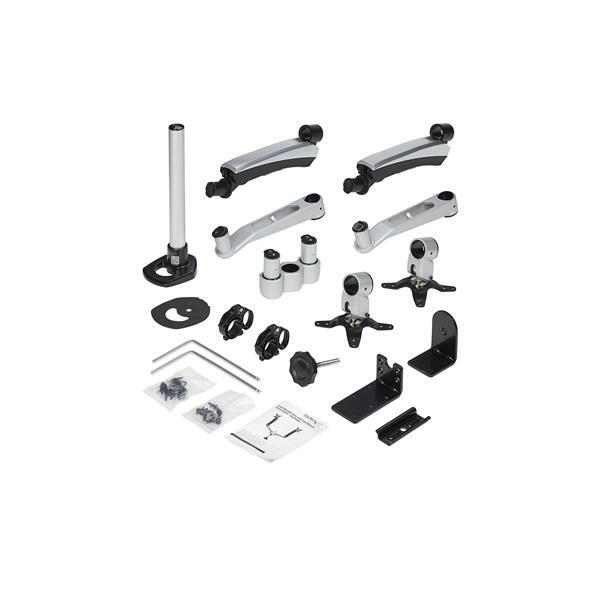 For most applications, assembly is tool-less. 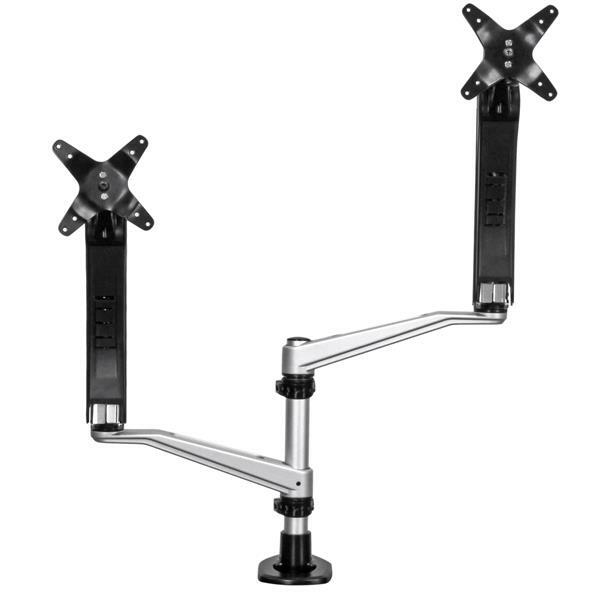 The snap-and-release design makes the dual-monitor arm mount easy to assemble and customize. 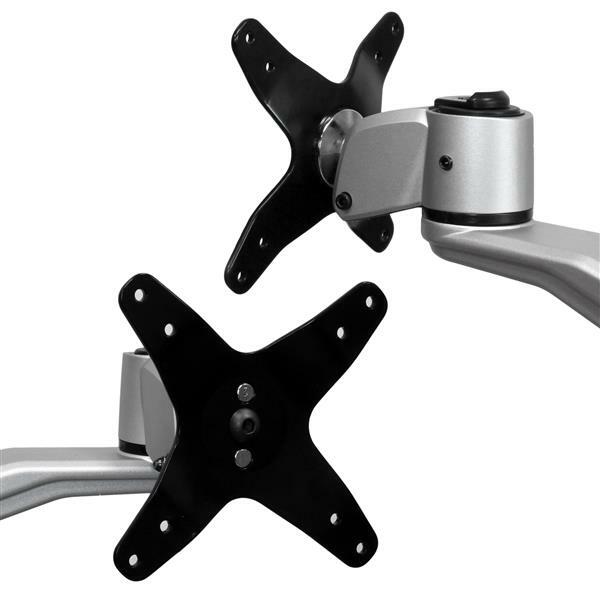 For installation flexibility, the included mounting hardware lets you either clamp the monitor mount to the side of your desk or table (using the pre-installed desk clamp), or attach it through a grommet hole. 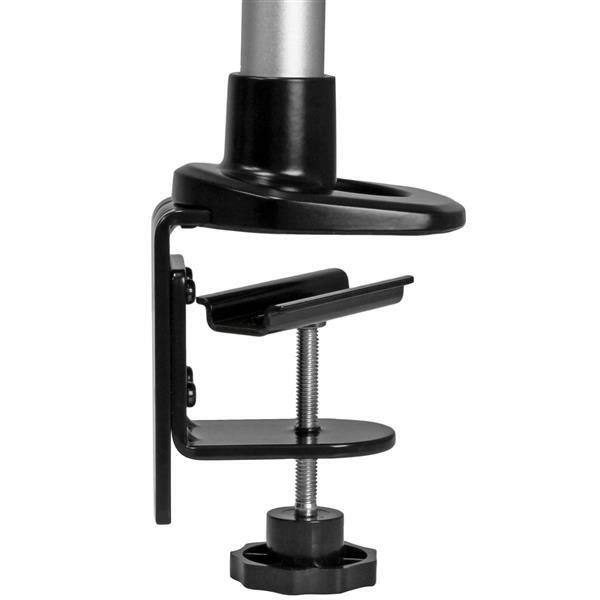 (Please note that if you wish to grommet mount ARMDUAL30, you will first need to remove the pre-installed desk clamp using a Phillips head screwdriver and the included M3 Allen key.) 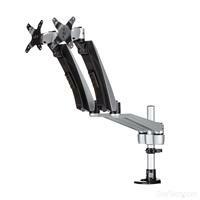 The arm mount also features integrated cable management channels that help to keep cables neatly tucked away. 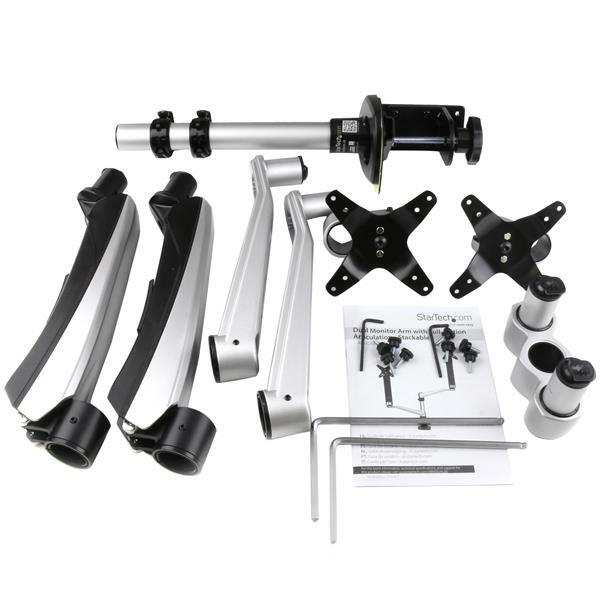 The ARMDUAL30 is backed by a 2-year StarTech.com warranty and free lifetime technical support.